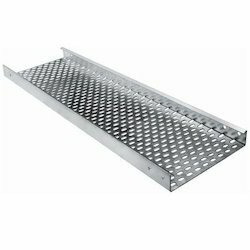 We are a leading Manufacturer of hot dip galvanized perforated cable trays, powder coated perforated cable trays, ladder cable trays, perforated cable trays, pre galvanized perforated cable trays and hot dip galvanized ladder type cable trays from Rajkot, India. 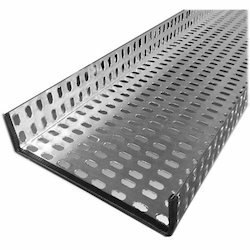 With years of experience, our firm is instrumental in offering a quality assortment of Hot DIP Galvanized Perforated Cable Trays. The provided cable trays are widely used with heavy cables that require extra protection from physical damages. These are noncorrosive in nature and are appreciated for their easy installation and optimum strength. Known for our credibility in the market, we are providing a comprehensive array of Powder Coated Perforated Cable Trays. These trays are non-corrosive in nature and have high load bearing capacity. These are made using premium quality material which enhances its durability and robustness. Moreover, our customers can avail this from us at industry leading price. 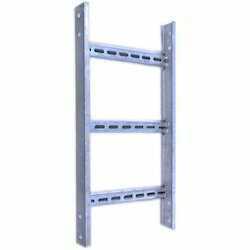 We are offering Ladder Cable Tray. We have gained recognition as a flourishing organization for providing a wide range of Perforated Cable Trays. 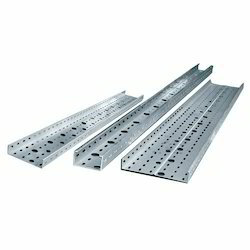 The offered cable trays are widely demanded by various industries for installation of regular cables and controlled cables. These are made using optimum quality material and are appreciated for their high strength and durability. Being a client-centric organization, we are proficient in offering a wide range of Pre Galvanized Perforated Cable Trays. These cables trays are extensively demanded for power circulation in various sectors like residential buildings, commercial complexes, institutes, etc. These are appreciated for their high tensile strength and exceptional performance. 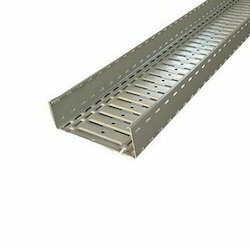 We are offering Electrical Cable Tray. We are offering Stainless Steel Cable Trays to our clients. These are corrosion resistant and highly durable metals are used in designing the stock. We offer these in various standard sizes and also as per the specifications of our clients. 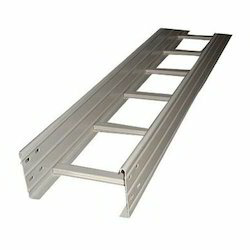 We are offering Ladder Type Cable Tray. We are leading manufacturer of Mild Steel Cable Tray. 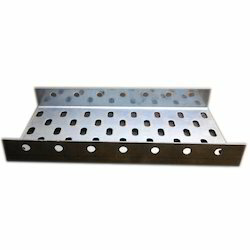 Leveraging on our quality oriented professionals; we are offering Perforated Type Cable Tray. These are used to provide protection to cables from external damages. We fabricate these using supreme quality metal and latest technology. These are appreciated in the market due to their dimensional accuracy, ruggedness and superior performance.